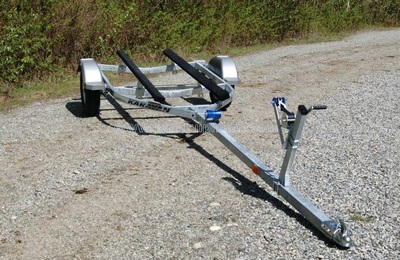 No holds without deposit, No rainchecks, No haggle lowest price. 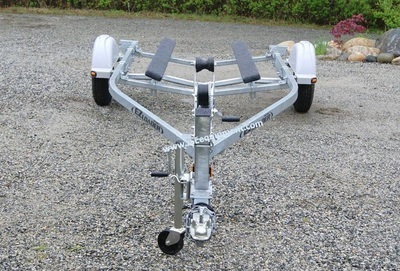 Cash price, Add 2.5% for Credit card purchase. Price subject to BC Tire levy and 12% tax. 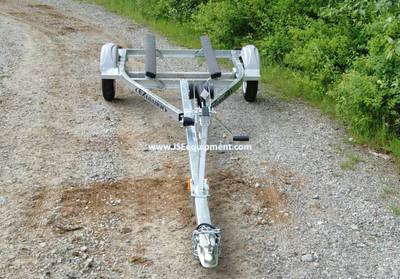 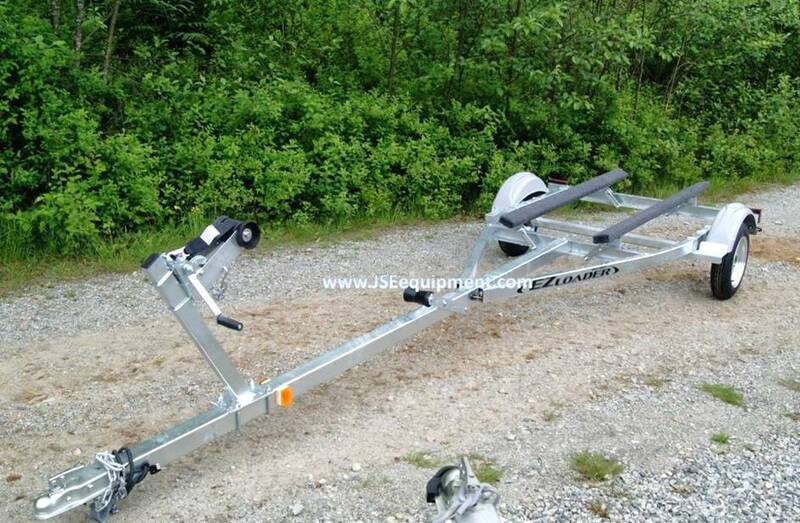 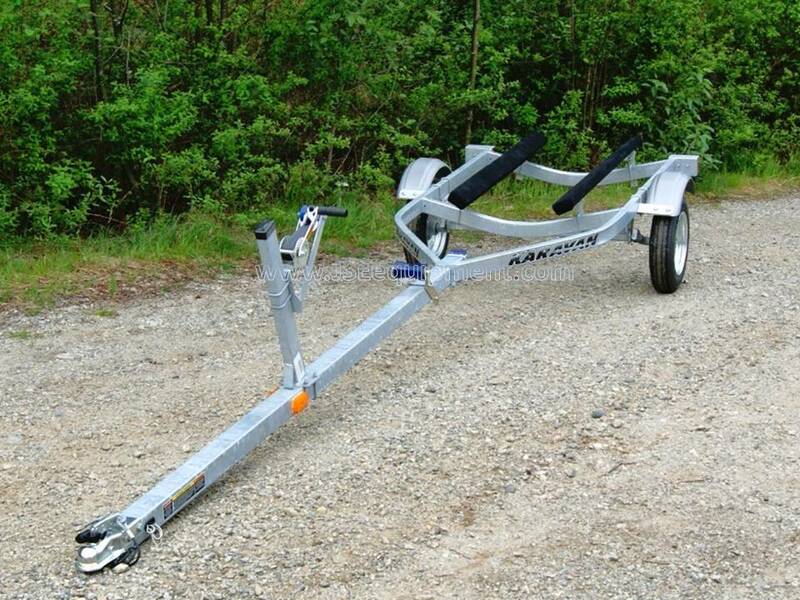 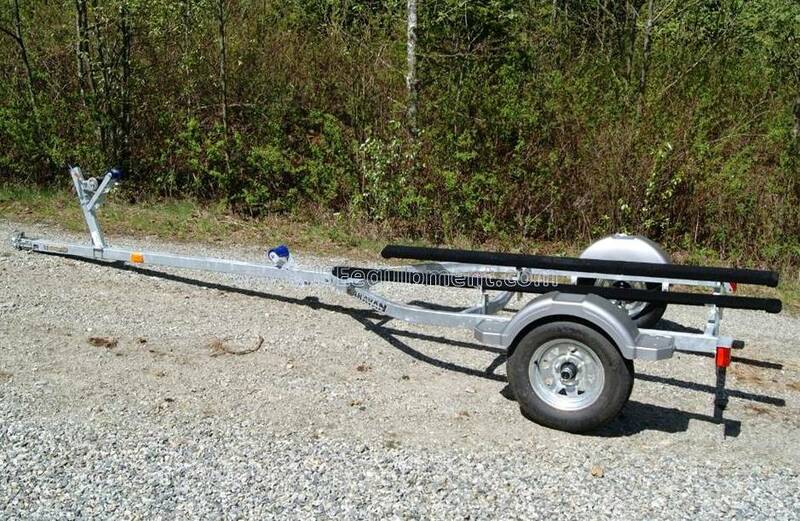 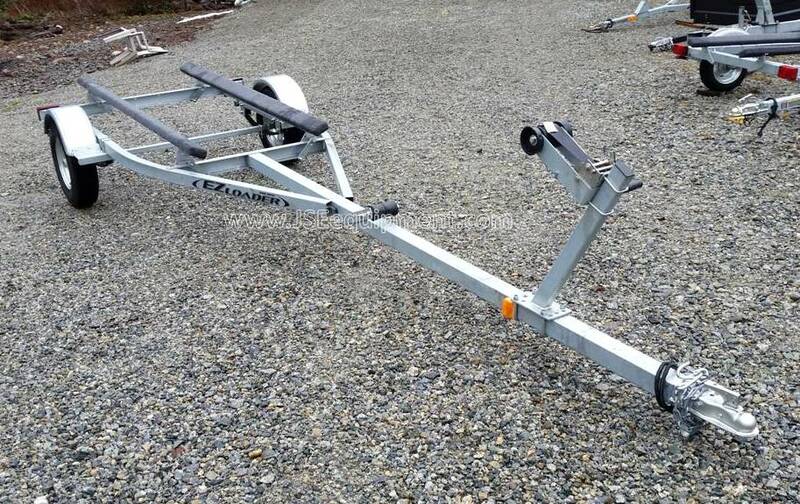 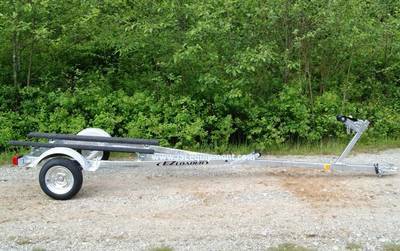 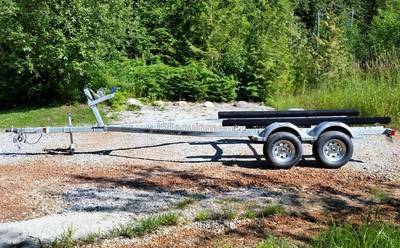 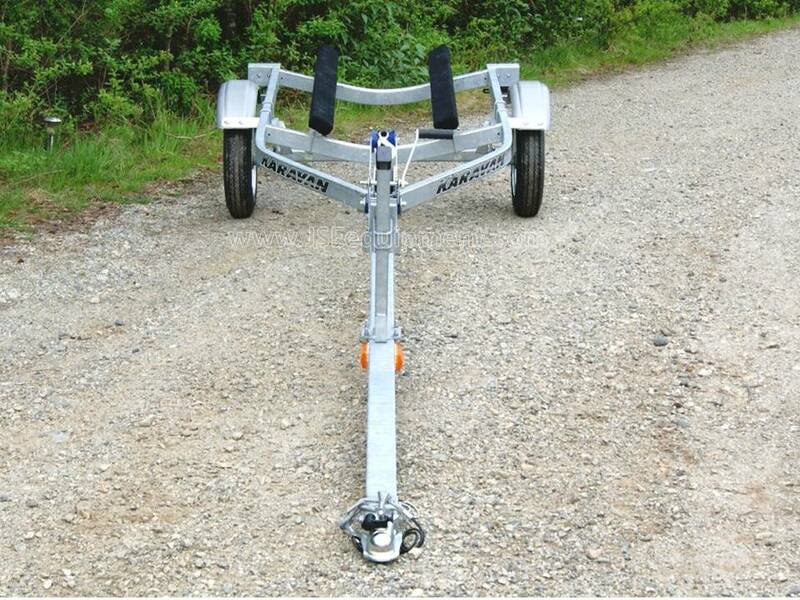 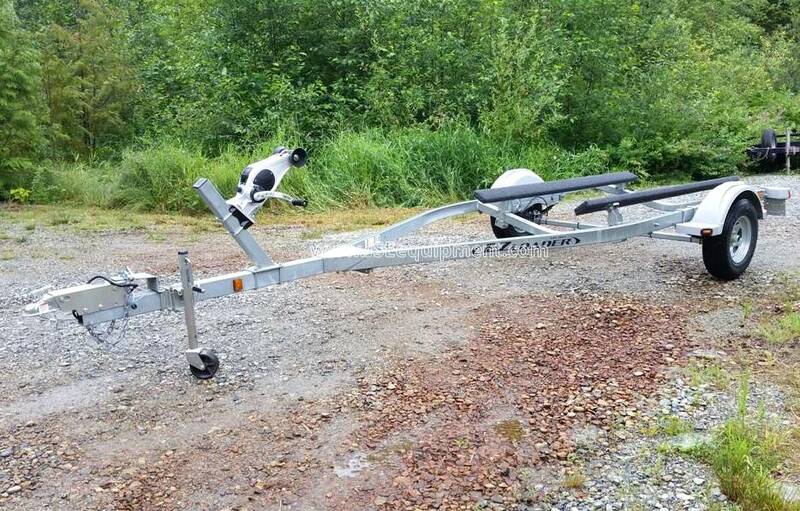 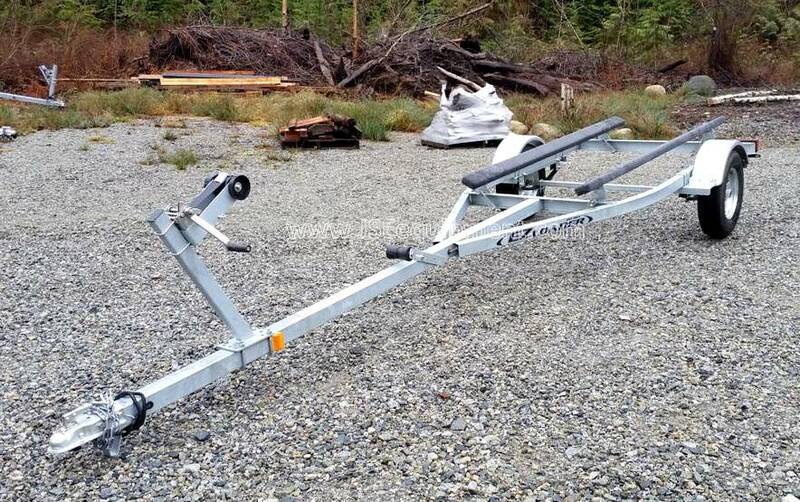 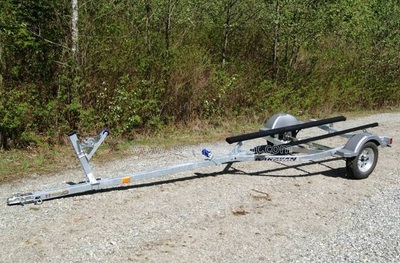 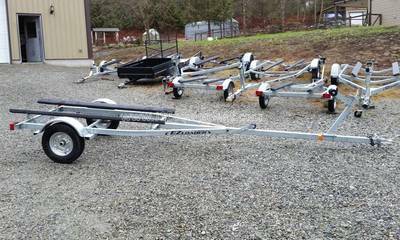 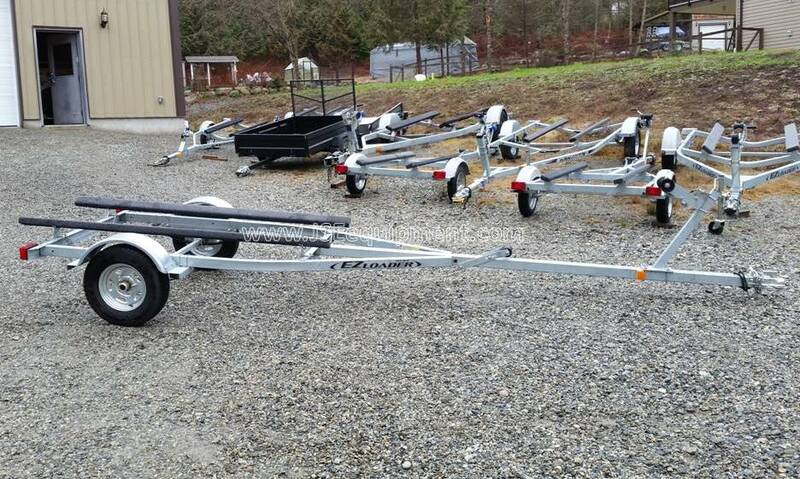 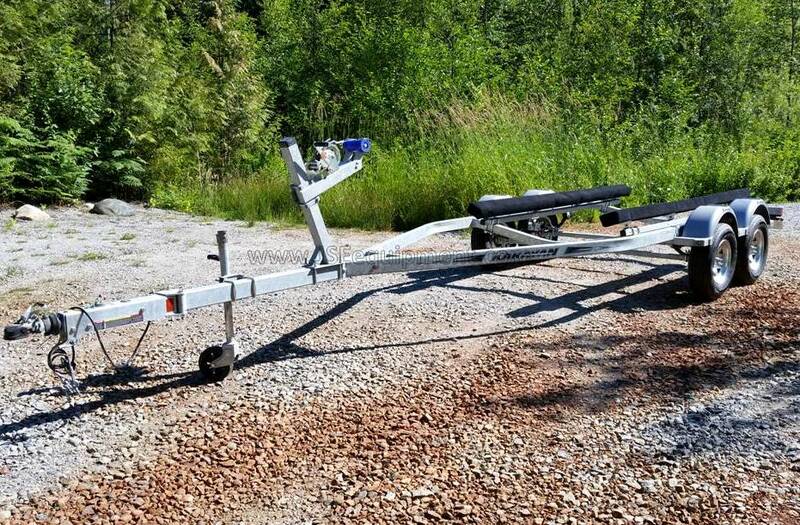 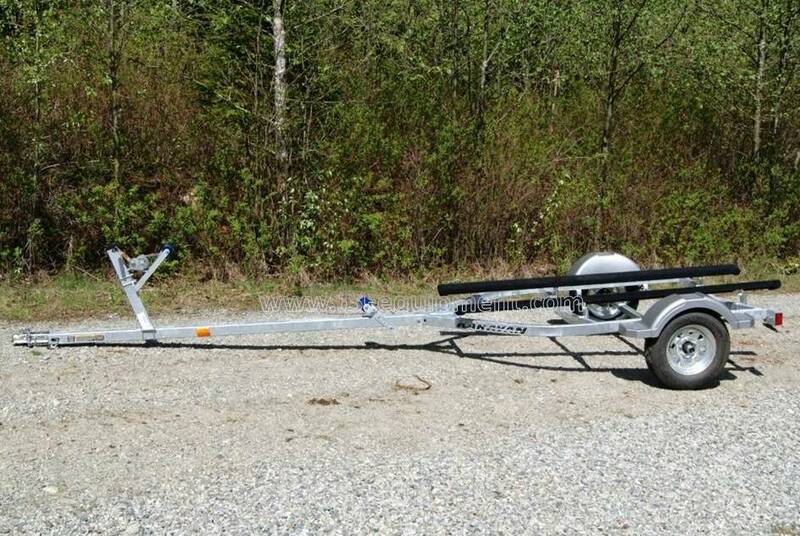 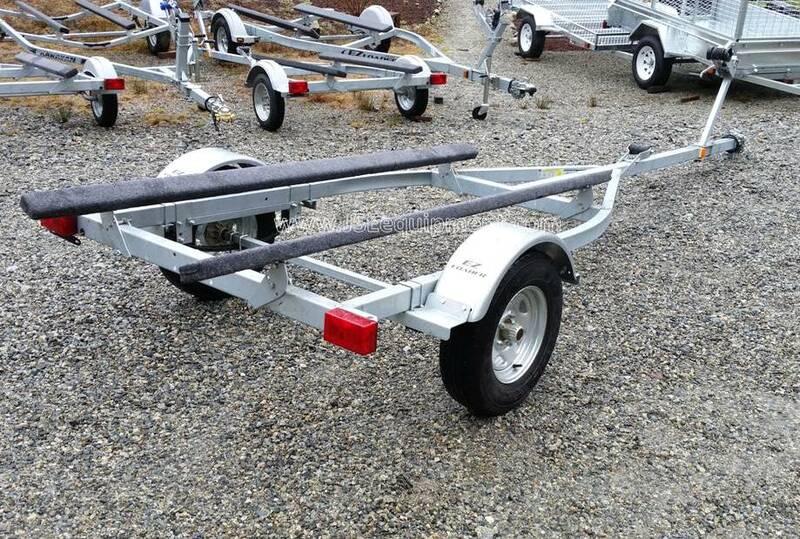 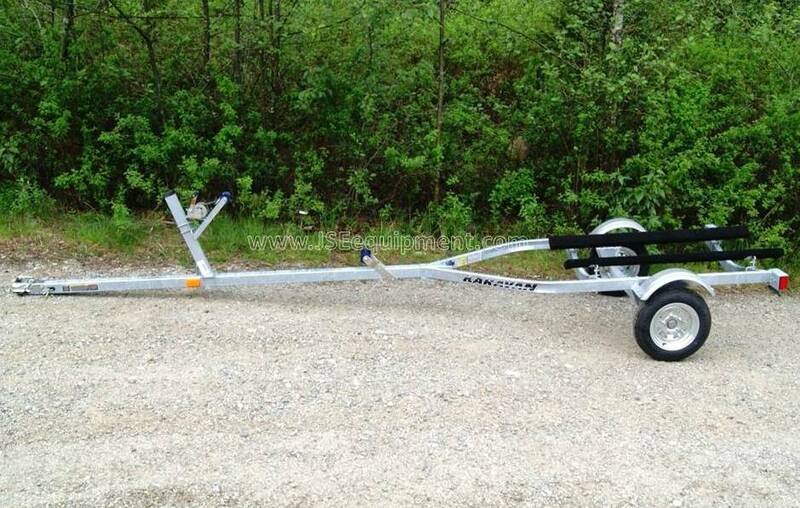 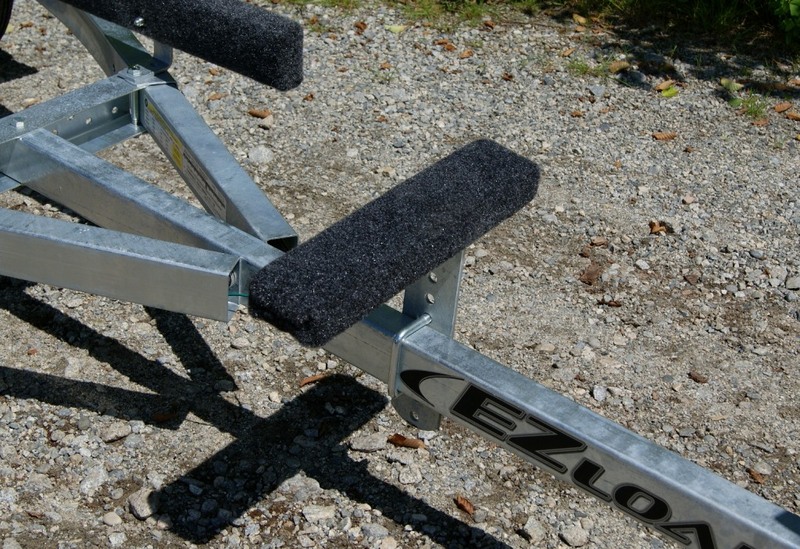 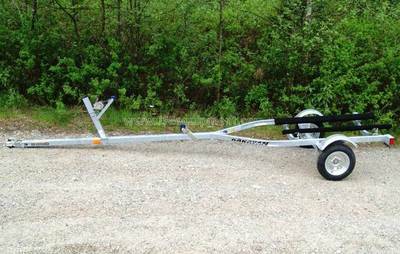 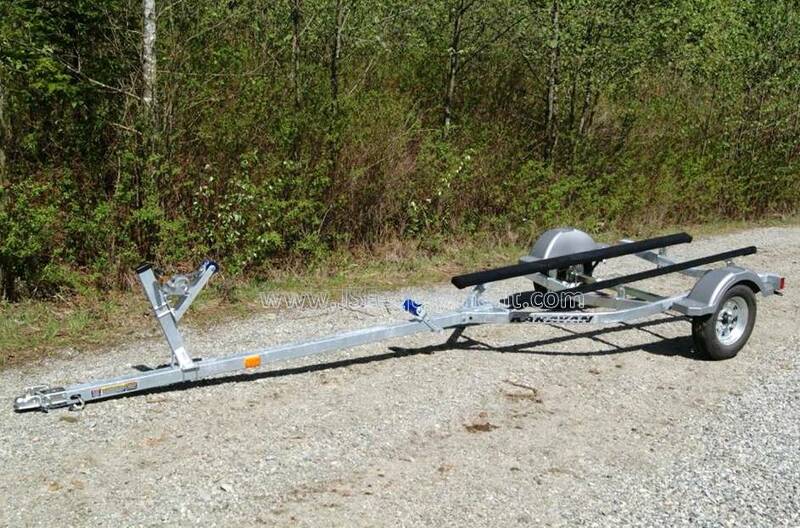 ​*NEW* EZ Loader 10-14' Small Boat Trailer, Extended Bunks. 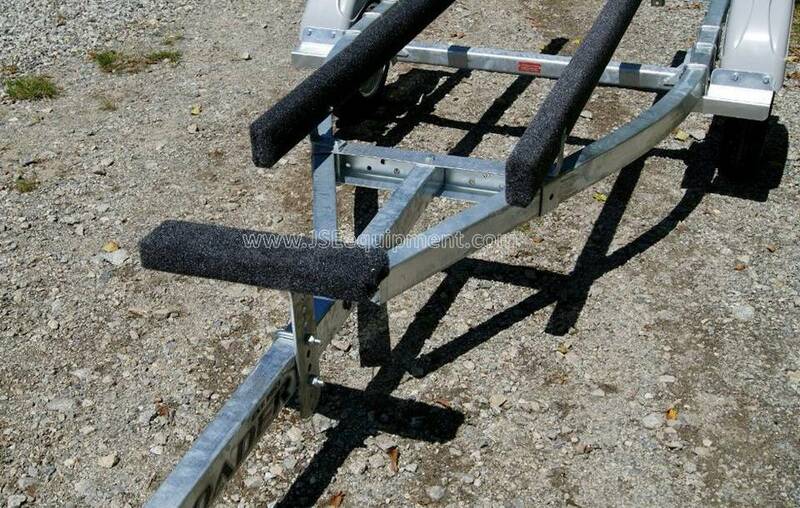 Keel Pad with mount, bolts to tongue for use with flat bottom Jon Boats, EZ Loader Grey Carpet. ​Karavan Boat trailer for 10'-14' boats, 3 position adjustable Tongue, 4.80 X 12" Tires with Painted Silver Rims, Full Length carpeted bunks, Fully adjustable hardware, Galvanized Torsion Axle with Fully sealed hubs, 1250 lbs Carrying Capacity, Width Between Fenders 46", Overall Width 60.5", Overall Length 17'10", 250lb curb weight, 2" coupler, 4 Prong flat electrical. 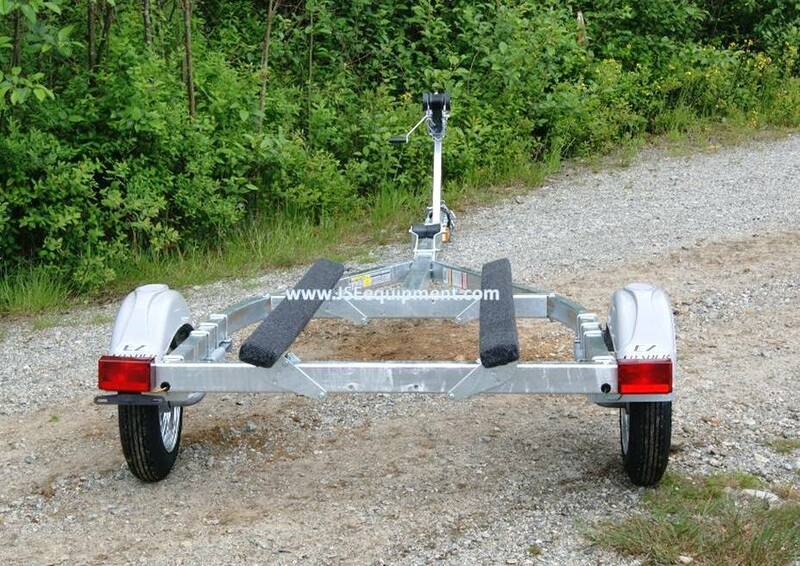 Karavan Boat trailer for 10'-14' boats, 3 position adjustable Tongue, Full LED Lighting, 4.80 X 12" Tires with Galvanized Rims, Full Length carpeted bunks, Fully adjustable hardware, Galvanized Spring Axle with Sure lube hubs, 1250 lbs Carrying Capacity, Width Between Fenders 46", Overall Width 60.5", Overall Length 17'10", 250lb curb weight, 2" coupler, 4 Prong flat electrical. 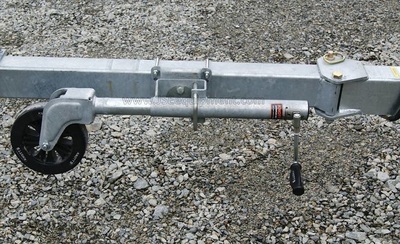 Jon Boat conversion replaces the Keel Roller with a horizontal pad, and replaces the Winch post roller with a post pad. Trailer sold separately. 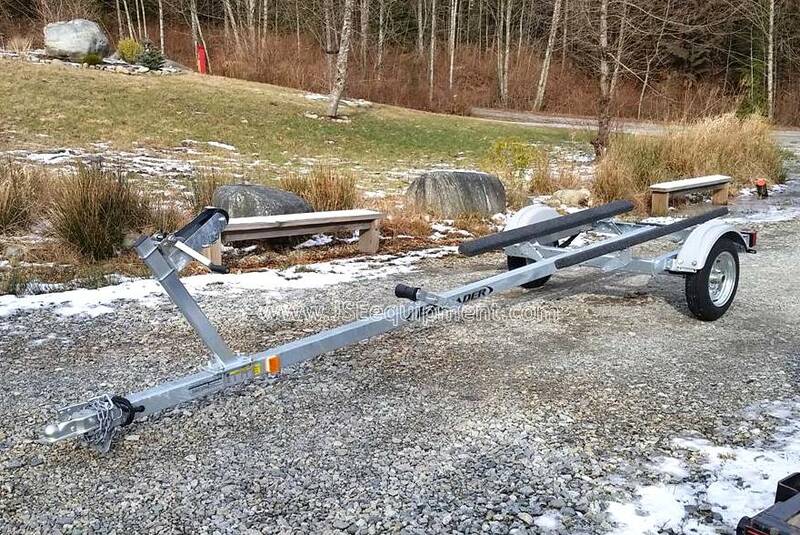 *NEW* 2016 Manufacture Date, but still brand new! Karavan KB1470 Boat trailer for 12'-16' boats, Larger 56" wide frame,1470 lbs Carrying Capacity,Overall Width: 75", Overall Length: 17' 8", Curb Weight: 335 lbs, GVW 1805 lbs,Width Between Fender: 56", 6' bunks, Spring axle, 13" Tires with Galvanized Rims, 4 prong flat electrical, 2" coupler, Also a perfect trailer for the larger oversize Watercraft's. 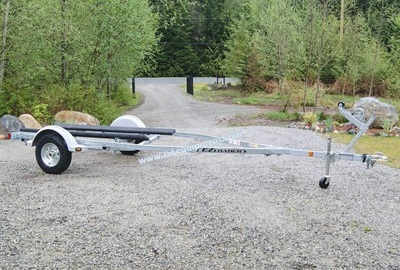 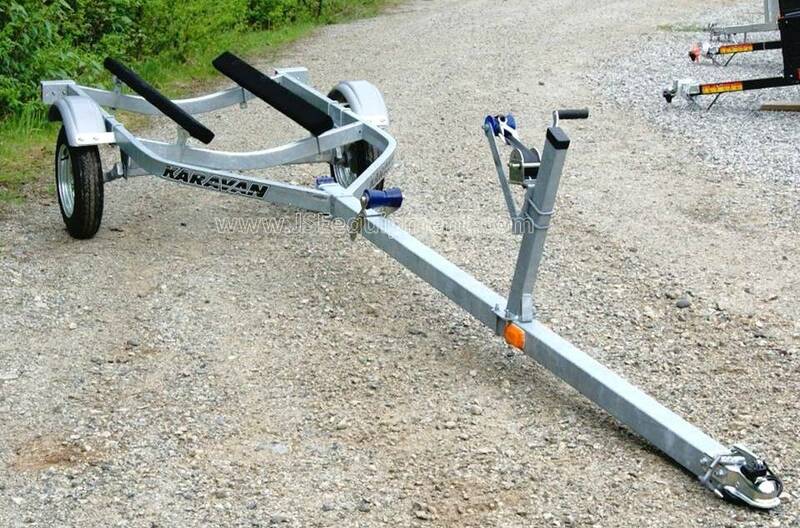 *NEW* Karavan KB1470 Boat trailer for 12'-16' boats, Larger 56" wide frame,1470 lbs Carrying Capacity,Overall Width: 75", Overall Length: 17' 8", Curb Weight: 335 lbs, GVW 1805 lbs, Width Between Fender: 56", Extended bunks to 8', Spring axle, 13" Tires with Galvanized Rims, LED Lights, 4 prong flat electrical, 2" coupler, Also a perfect trailer for the larger oversize Watercraft's, Spare tire and wheel jack optional accessories! 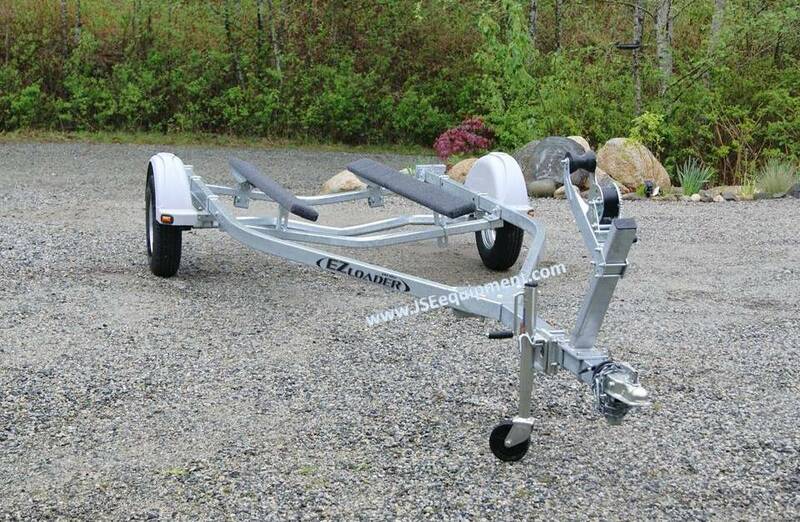 Features: Aluminum frame with 4 mast kit attachment, Long and strong aluminum rack with cushioned rails for kayak's of all sizes and weights. 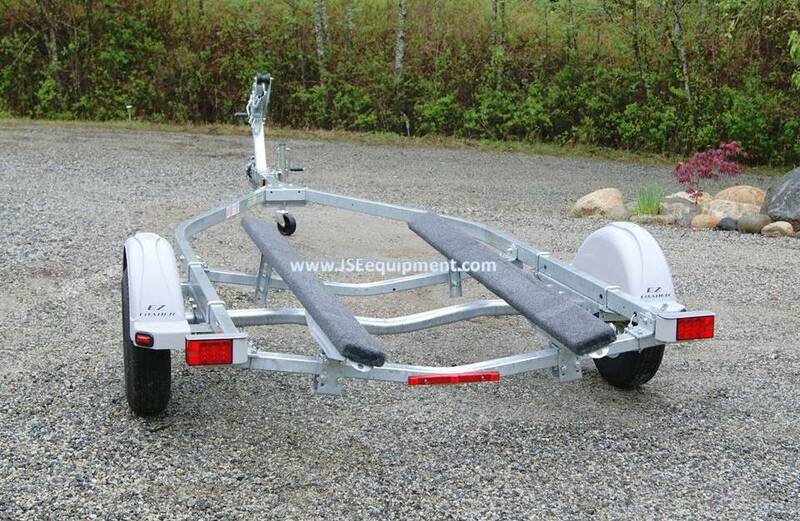 Also supporting canoes up to 16' long, Welded aluminum tiedown positions on each rack providing safe and secure hauling, Tire Size: 4.80 x 12, Carrying Capacity: 1265 lbs, GVW 1500 lbs, Approximate Weight 235 lbs, Overall Width: 76.25", Overall Length: 15', Easy lube Bearing system, Spring axle suspension, 2" Coupler, 4 Prong electrical hook up. Tongue Jack Optional and not included in price. 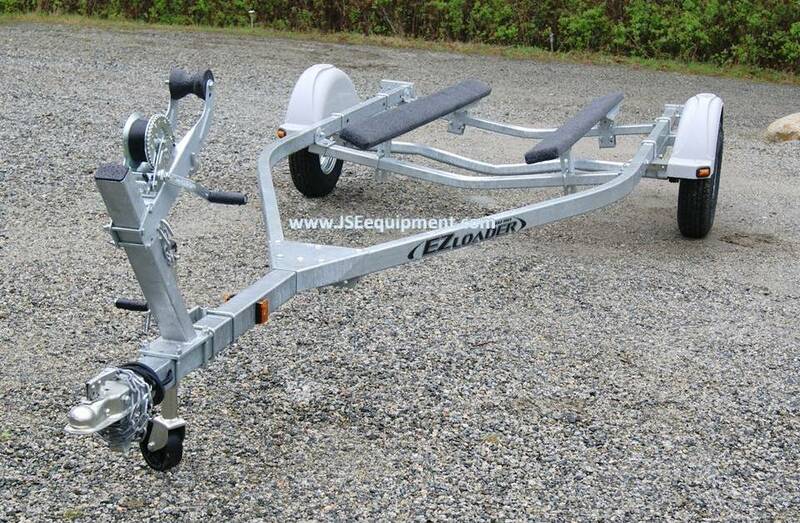 ​*NEW* EZ Loader 15-17' Wide Frame Boat Trailer, 2100 lb Carry Capacity, 2700 GVW, Full LED Lighting, Approx. 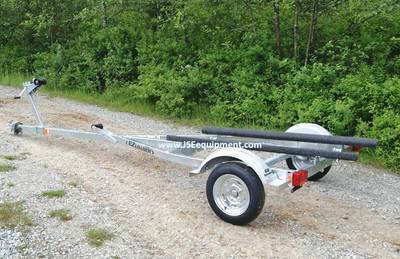 Curb weight 527 lbs, Galvanized Spring Axle, 13" Wheels with Galvanized Rims and Radial Tires, 2 x 6 Fully adjustable Bunks, 2 pce adjustable winch Post, Approx. 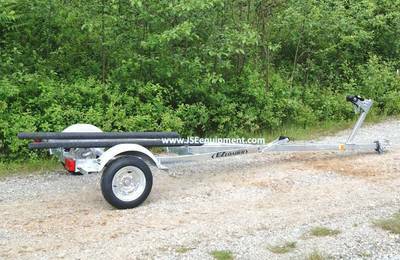 Width Between fenders 80", OA Width 96", OA Length 20'4", Maximum Boat length 18', Galvanized Frame, 4 prong flat Electrical, 2" Coupler. 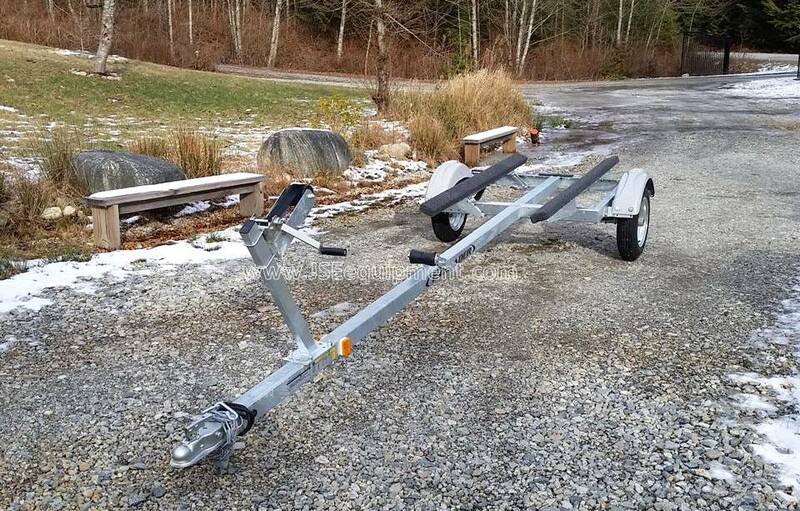 This trailer does NOT have Brakes. 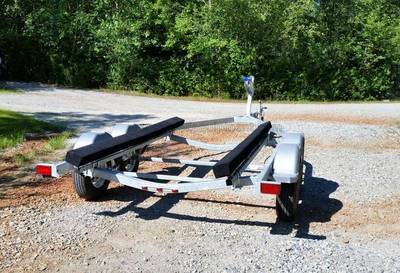 ​*NEW* Karavan 16-19' Boat Trailer, 2200 lb Carry Capacity, 2670 GVW, Full LED Lighting, Swing Tongue, 2 x 6 Fully adjustable Carpeted Bunks, Approx. 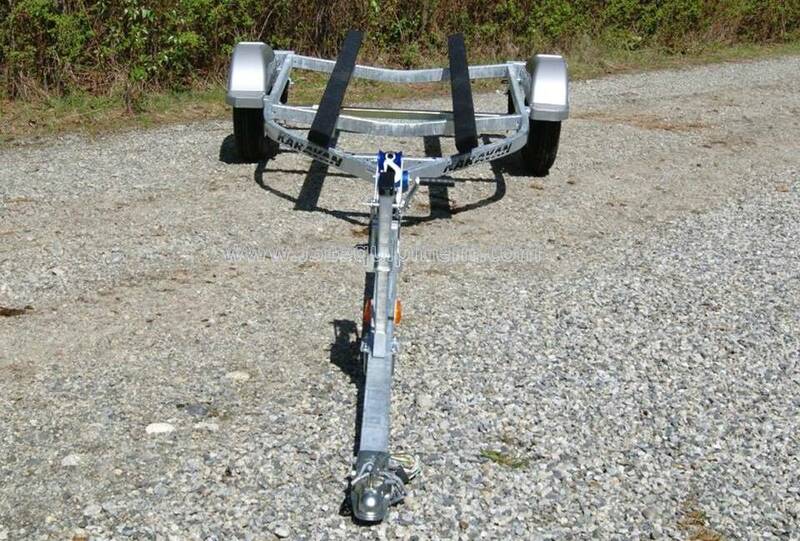 Curb weight 470 lbs, Leaf Spring Axle, 13" Wheels with Galvanized Rims, 2 piece adjustable winch Post, Approx. 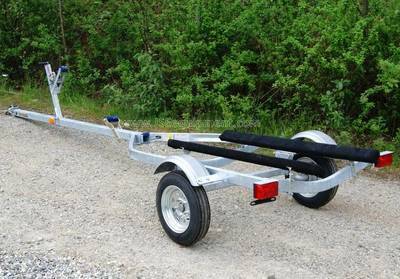 Width Between fenders 72", OA Width 88", OA Length 20', Maximum Boat length 19', Galvanized Frame, 4 prong flat Electrical, 2" Coupler. 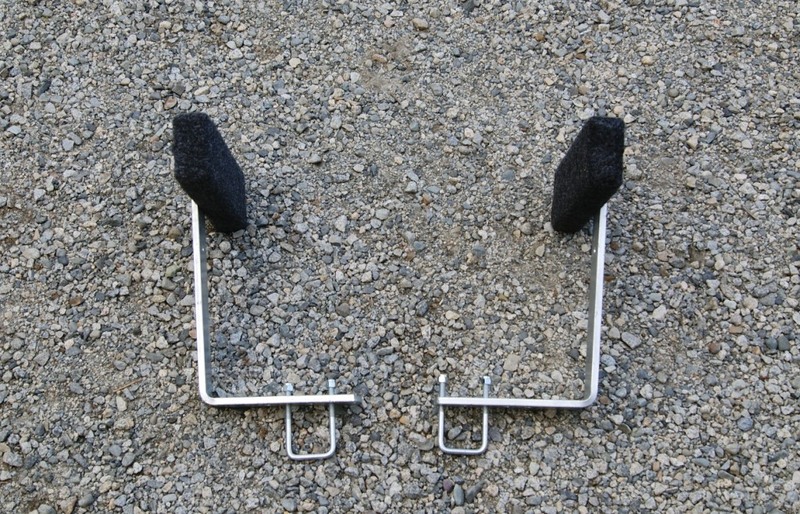 Swivel Tongue Jack included! 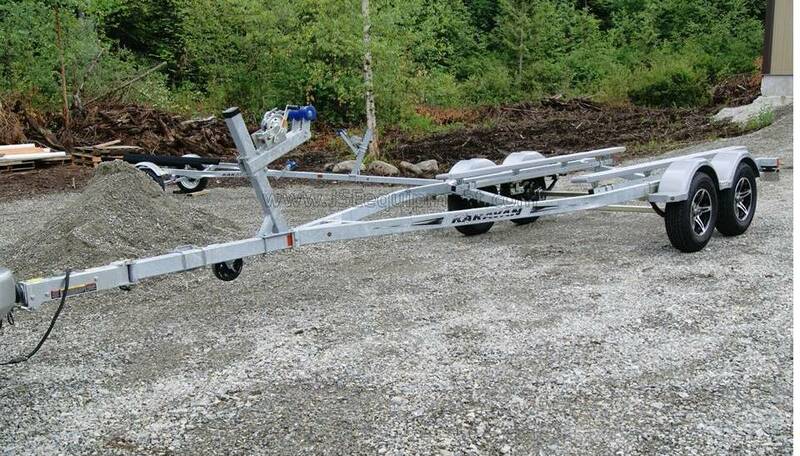 This trailer Does NOT have brakes! ​*NEW* EZ Loader 15-18' Wide Frame Boat Trailer, 2800 lb Carry Capacity, 3500 GVW, Full LED Lighting, Approx. 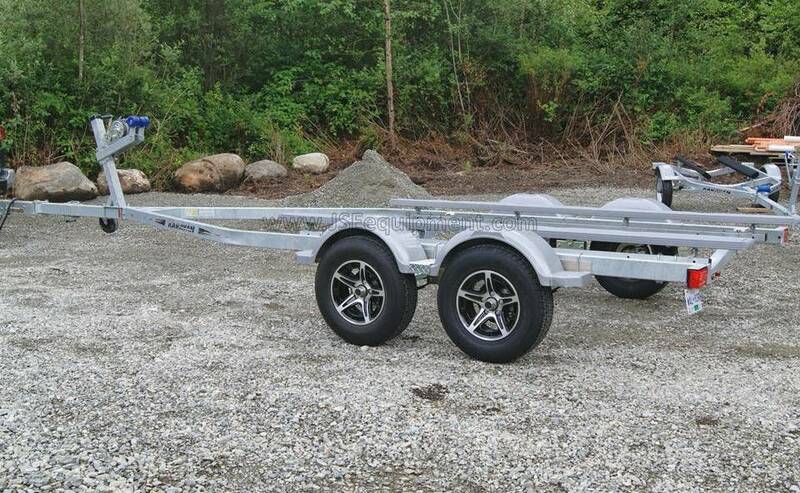 Curb weight 587 lbs, Galvanized Spring Axle, 13" Wheels with Galvanized Rims and Radial Tires, 2 x 6 Fully adjustable Bunks, 2 pce adjustable winch Post, Approx. 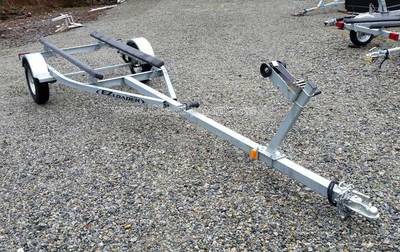 Width Between fenders 80", OA Width 96", OA Length 20'4", Maximum Boat length 18', Galvanized Frame, 4 prong flat Electrical, 2" Coupler. This trailer does NOT have Brakes. 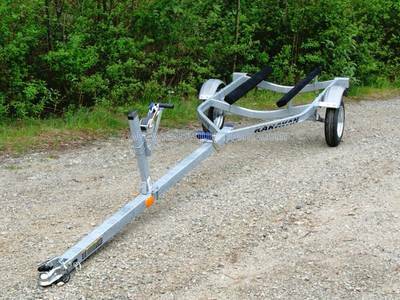 *NEW* Karavan 18-19' Boat Trailer, 3100 lb Carry Capacity, 3712 GVW, Full LED Lighting, Surge Brake Coupler, Full LED Lighting, ST205/75R14 Wheels, 2 x 6 Fully adjustable Bunks, Approx. Curb weight 612 lbs, 2 pce adjustable winch Post, Approx. Transom to Bow Eye adjustment: 180"-201", Approx. 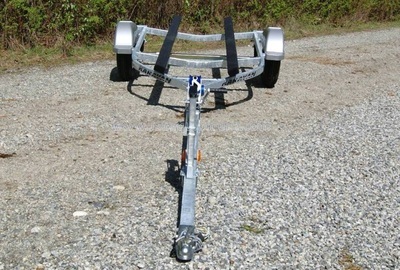 Width Between fenders 76", OA Width 95-1/2", OA Length 21'11", Maximum Boat length 19', Painted Black Frame, 4 prong flat Electrical, 2" Knott swivel self latching lockable Coupler. 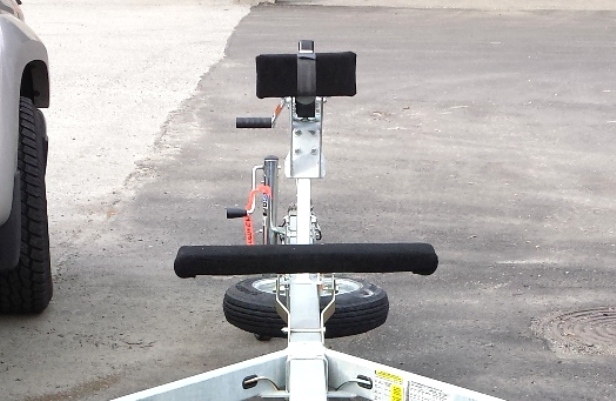 Swivel Tongue Jack included! 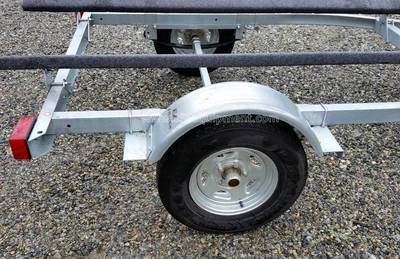 This trailer has Surge Disc Brakes. *NEW* EZ Loader 15-18' Boat Trailer, 3100 lb Carry Capacity, 3860 GVW, Full LED Lighting, ST215/75R14 Wheels, 2 x 6 Fully adjustable Bunks, Approx. 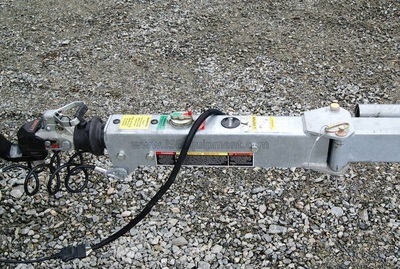 Curb weight 760 lbs, 2 pce adjustable winch Post, Approx. 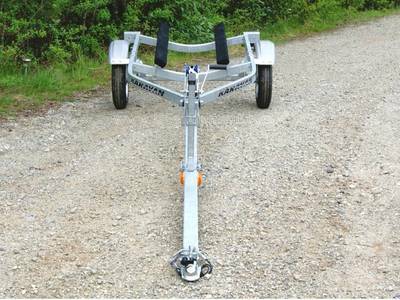 Width Between fenders 84", OA Width 96", OA Length 21'4", Maximum Boat length 18', 4 prong flat Electrical, 2" Hydraulic Coupler, Swivel Tongue Jack included! 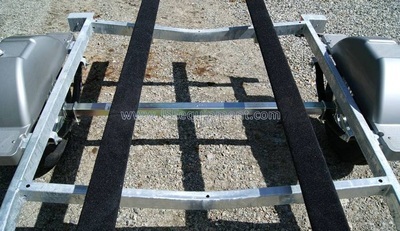 Galvanized Frame. This trailer has Surge Disc Brakes. 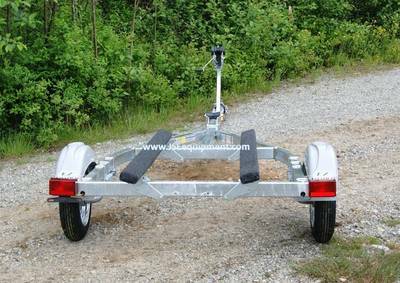 Standard Features: Welded A Frame, Sure lube hubs, 2 speed Winch with Strap, Knott Galvanized swivel jack, Fully Grounded L.E.D. 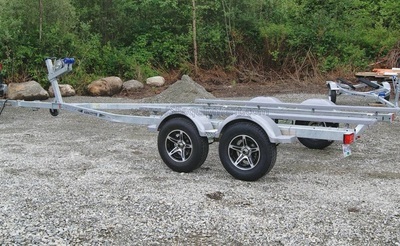 lighting, 13" Radial Tires on Galvanized rims, Adjustable Carpeted bunks 4000lb Carrying capacity, Trailer weighs Fit's 17'-21' boat with Bow eye to transom of 189" 236", Overall length 24', Overall Width 101", Width Between fenders is 80", Leaf Spring suspension, Full Disc Brakes, Surge Coupler , Galvanized Rims and Carpeted Bunks are Standard. 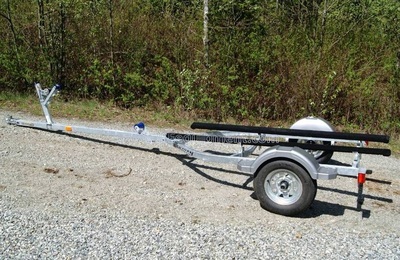 Standard Features: Welded A Frame, Sure lube hubs, 2 speed Winch with Strap, Knott Galvanized swivel jack, Fully Grounded D.O.T approved L.E.D. 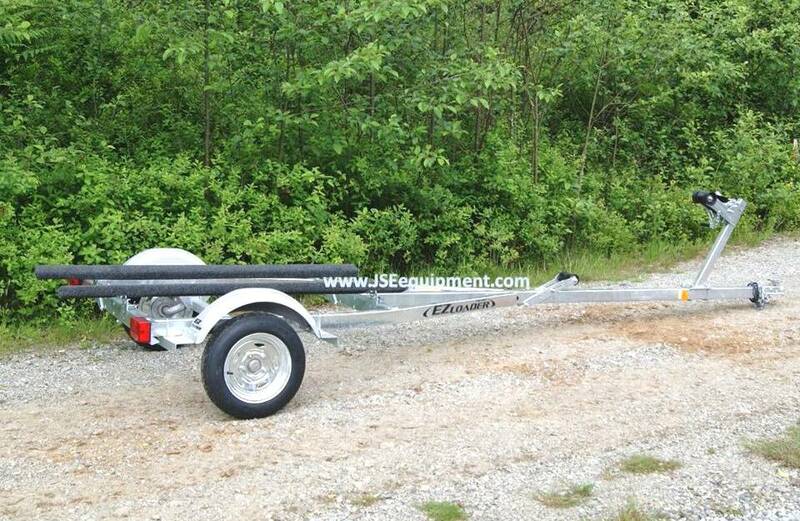 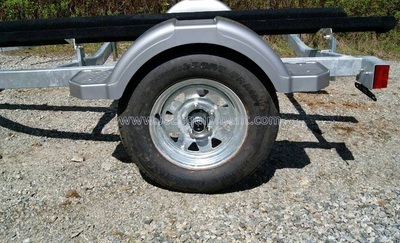 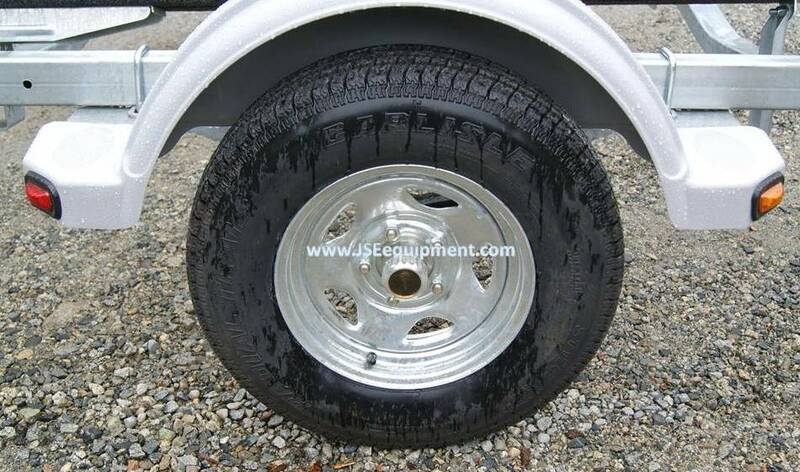 lighting, ST205/75R14C Radial Tires on Galvanized rims, Adjustable Carpeted bunks 4800lb Carrying capacity, Trailer weighs 1085lbs, 5885lb GVWR Fit's 17'-21' boat with Bow eye to transom of 189" 236", Overall length 24', Overall Width 101", Width Between fenders is 80", Leaf Spring suspension, Full Disc Brakes, Surge Coupler , Galvanized Rims and Carpeted Bunks are Standard. 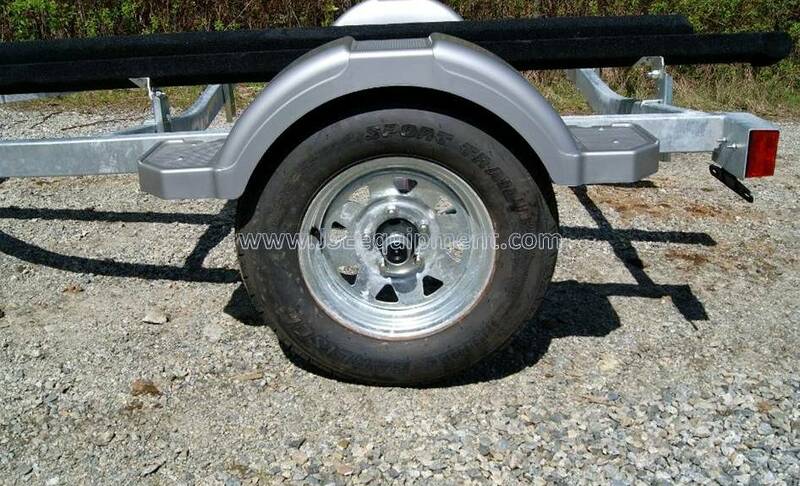 ​*Photos shown with Optional upgraded Aluminum wheels, Upgraded Polymer Bunks. * NOT included in price. 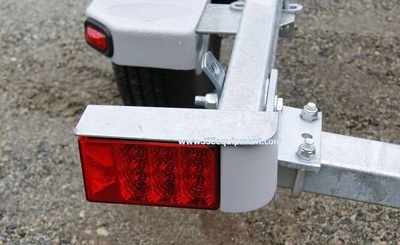 New and Used Boat Trailers, Watercraft Trailers, Utility Trailers, Landscape Trailers, ATV Trailers, Motorcycle Trailers, Horse and Farm Trailers, Snowmobile Trailers, Small Aluminum boats, Trailer Parts and Accessories. EZ Loader, Karavan, Salter. 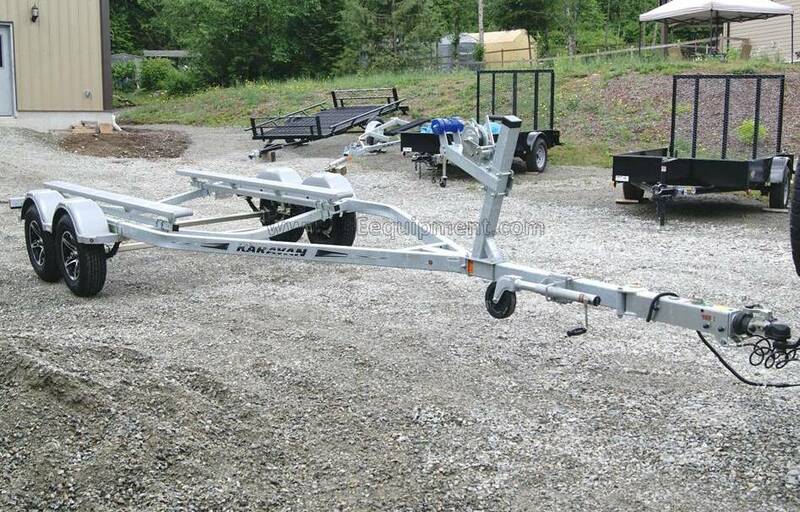 We Take Trade Ins of used Factory built products! 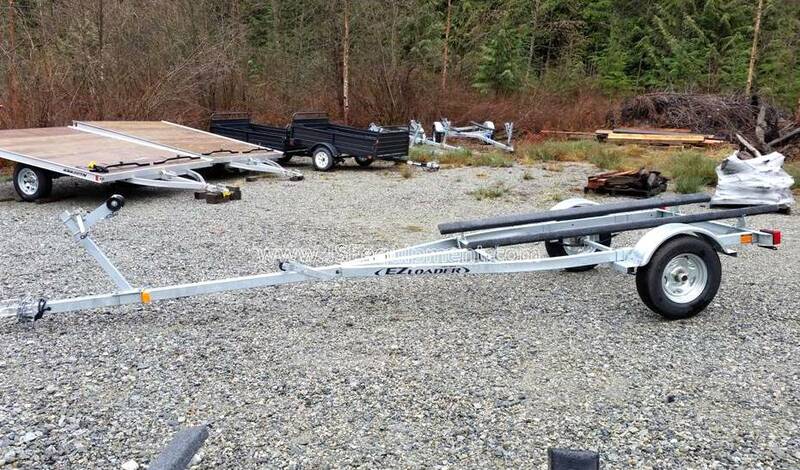 Servicing the Greater Vancouver and Fraser Valley areas; Coquitlam, Port Coquitlam, Port Moody, Maple Ridge, Mission, Abbotsford, Langley, Surrey, Chilliwack, BC Canada.